Other fine details include a plush light saber zipper pull so that you won't go to sleep unarmed. 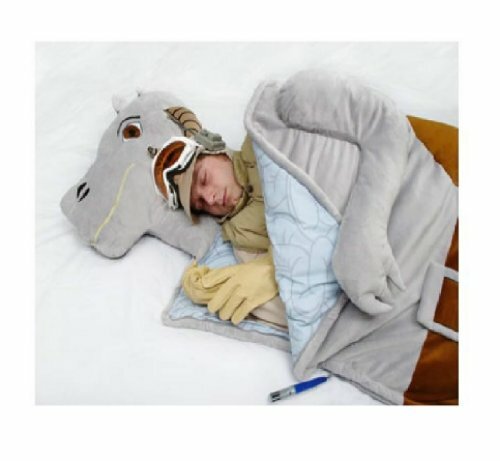 The embroidered tauntaun head is a built-in pillow. The tauntaun is also still wearing its saddle, just like in the movie. 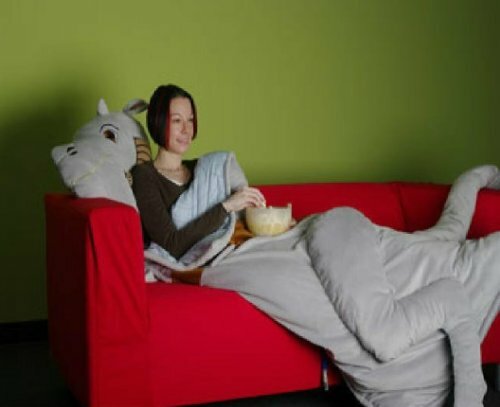 This cozy sleeping bag is 100% polyester and machine washable. It is one-size-fits-all and fits an adult comfortably. Best of all, this amazing bit of cool gear is a fully licensed LucasfilmTM collectible. 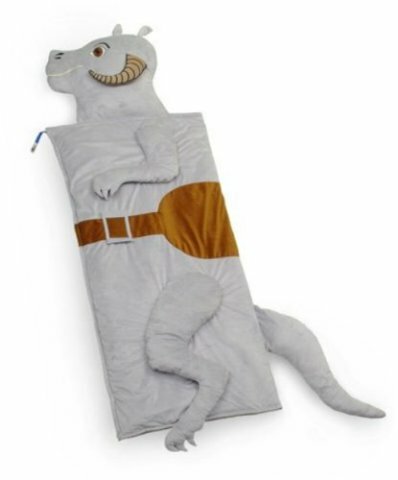 To order your own Star Wars Tauntaun Sleeping Bag, click here. Also available here.